20 OMG Uses For Tea Tree Oil! The coconut ain't gonna like what it's about to hear but for the good of all womankind it's totally necessary. There's another essential oil and we're just a little bit in love with it, especially when it comes to drying out pimples & curing morning breath (straight up!). Here are 20 OMG uses for the humble tea tree oil. Tea tree otherwise known as melaleuca oil is a little herbal miracle. Thought it was just good for your zits? You ain't seen nada yet. Here's 20 OMG uses for tea tree oil. Soothe away painful and sensitive razor burn with a few drops and the swipe of fluffy cotton ball. The bane of every waxing girl’s life. Dilute a few drops of oil with water and apply to the infected areas to reduce swelling and irritation. And we're good! Gross we know, but sometimes working out doesn’t always agree with our feet. Tea tree oil is an effective anti-fungal remedy that can be used to treat all kinds of unglamorous eventualities. Athlete’s foot, nail infections… tea tree has the cure. Boil up the water, add a few drops and get your perfect pedi back already. Bad case of pruned pores? 5 spoons of TT to one spoon of almond oil will melt your skincare woes away like lemon drops away above the chimney tops. 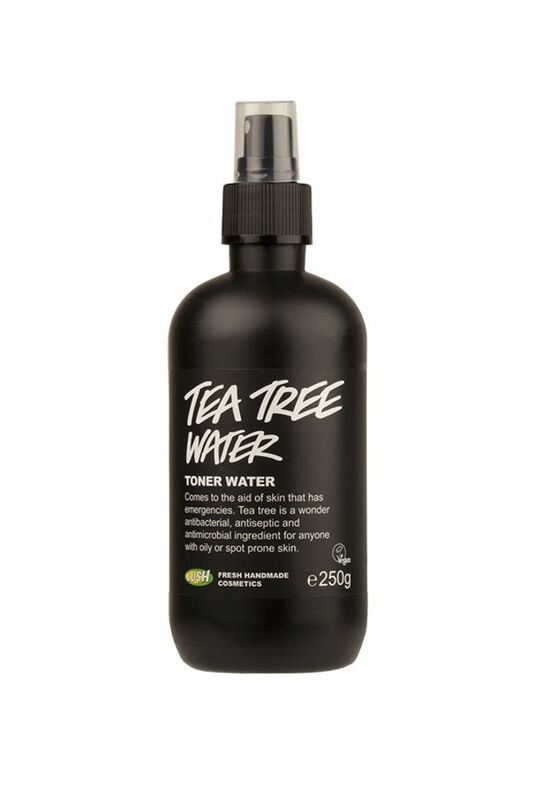 Tea tree oil helps to induce hair growth by unclogging hair follicles and nourishing the roots. If you can get passed the tingly scalp sensation you’re onto a winner. Try it DIY style but don’t forget to add carrier oil to dilute the treatment or simply buy ready made tea tree shampoo. Make your very own take the day off blend by mixing 10 drops of tea tree with ¼ cup of canola oil. Sweep over your face, follow with toner and enjoy the feeling of squeaky clean pores. Ragged cuticles and hang nail? We can’t deal. Mix 10 drops of tea tree with equal parts lavender oil to for the perfect classic mani. To reduce the discomfort of itchy eyes boil green tea bags and add a few drops of essential oil. Let it cool and place on your eyes for 20 minutes for instant relief. Make your lips completely kissable again by treating cold sores. Mwah. As well as treating acne, tea tree is also good for penetrating the sebaceous glands and drying out stubborn blackheads. Gotta love a blackhead free chin. 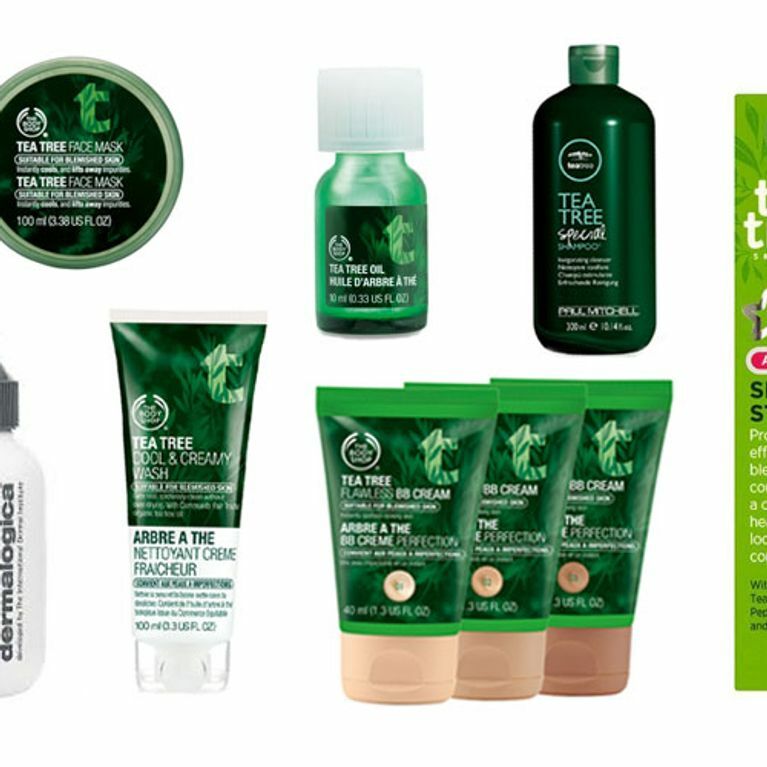 "Everyone knows that tea tree is fantastic for blemish-prone skin (your teenaged years could be sponsored by the stuff! ), but did you know it's also a really effective all-round detoxifier and antiseptic? "There are plenty of ways to incorporate it into your skincare routine without having to resort to the products of your youth - all you need is a little bottle of tea tree essential oil and some imagination. Add a few drops of tea tree essential oil into a bowl of boiling water to create a clarifying steam, add a few drops to your favourite carrier oil and massage onto skin before bed, and mix a few drops with some water in a spray bottle to create a toner." Sometimes it’s useful if you’re trying to get that stranger out of your bed, granted but for all those other times there’s tea tree. Just rinse your mouth with one drop of essential oil and 1 ounce of water (don’t swallow). Simply mix 2-3 drops with coconut oil to calm rashes. If you’ve got a cold brewing tea tree is an excellent stimulant for the immune system. Your beauty survival kit simply isn’t fit for purpose without it. So TT helps your hair grow, what else do we know? By mixing it with a couple of teaspoons of Castor oil or Argan, massaging into your scalp and leaving for an hour you can enjoy full and healthy locks without the pricey salon blow dry. And flick! Mix the baking soda and cornstarch in a bowl and heat the coconut oil until it’s reduced down. Add the essential oil and mix. Then combine the powders with the oils and store in the bathroom/fridge/handbag for code BO situations. Mix one drop of tea tree with oil 1 tsp olive oil and place a few drops into each ear. Stay upright for half an hour before draining by tilting your head. That’ll do it. Great for acne prone skin! The antibacterial properties in TT disinfect the skin and make pores appear smaller. Pour a few drops directly into your hands and warm between your palms before massaging onto the face for five minutes. Use wet cotton pads to remove. New shoes just love to cut us #thirdworldproblems and boy isn’t the first cut the deepest! You know the score, dab it with tea tree asap.